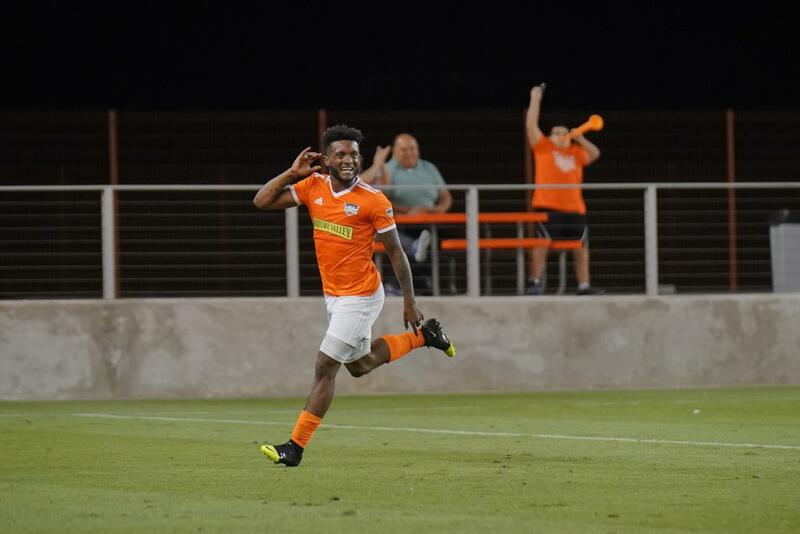 EDINBURG, Texas (April 13, 2019) –Rio Grande Valley (1-3-2) earned its first win of the 2019 USL Championship season against OKC Energy FC (2-1-3), 2-1. The first half of the match kicked off with a couple of attempts by OKC Energy, but none led to a goal. In the 14th minute, Michael Salazar sent a pass to Jesus Enriquez where he then shot from outside the box but was saved in the top center of the goal. The Toros had two back-to-back shots in the 23rd minute by Salazar and Hector Copete. Copete shot a right footed shot from outside the box but missed to the left. The Toros continued their quest for the first goal as Andy Cabrera shot from the left side of the box but as blocked by the defending line in the 28th minute. Maalique Foster had two back-to-back shots which unfortunately, didn’t go in. RGV FC kept testing OKC Energy’s goalkeeper as they had three attempts; two by Salazar and one by Cabrera. OKC Energy didn’t want to go into the half with the 0-0 draw as Rafael Garcia took a left footed shot from outside the box testing Nico Corti but missed to the right side of the goal, 45th minute. One minute later, Cordell Cato shot from outside the box but was saved in the bottom left corner. In the 50th minute, Copete received a pass from Andrew Samuels and took a left footed shot from outside the box but was saved in the top right corner of the goal. The Toros continued to hustle to get the lead. Enriquez sent a pass to Salazar where he turned and shot to the bottom right corner past goalkeeper Cody Laurendi marking the first goal of the match, 1-0. The Toros gained momentum with the lead and kept testing OKC. RGV had three attempts made within 10 minutes. In the 69th minute, Toros goalkeeper Corti conceded a foul in the penalty area. Alexy Bossetti took the penalty but hit the left post. 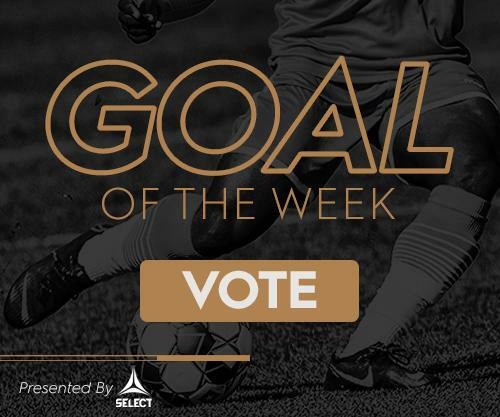 Samuels sent a long pass to Enriquez where he took two defenders then shot a left footed shot from the center of the box marking a 2-0 lead in the 87th minute. Owayne Omar Gordon took a right footed shot from outside the box testing Corti in the 92nd minute. Unfortunately, following a set piece by Marco Bustos, Atiba Harris headed the ball from the six-yard box to the center of the goal past Corti, 2-1. The Toros totaled 21 shots, eight on target, though they had a 46.9 percent possession. Corti had two saves tonight. Salazar totaled seven shots, four at goal, two chances created and three tackles. He also had 88 percent passing accuracy. Enriquez totaled seven shots, two on target, two chances created and one tackle. Cabrera Jr. totaled two shots and four chances created. Defensively, Conor Donovan made a return to the field and totaled four clearances, two takles and one interception. Robert Castellanos also had four clearances. Kyle Adams totaled two clearances and interceptions adding one block. For OKC, they totaled 10 shots, three at goal and had a 53.1 percent of possession. Goalkeeper Laurendi totaled six saves tonight. Cato totaled three shots and two at goal while having an 82.4 percent passing accuracy. Bosetti created two chances for OKC. Alvin Jones totaled six tackles, two clearances and three interceptions for OKC’ defending line. Harris had 10 possessions gained with two clearances and one interception. He also added two blocks. Scoring Summary: RGV FC – Salazar 54’, Enriquez 87’ (Asst. Samuels); OKC – Harris 91’ (Asst. Bustos). Misconduct Summary: RGV FC – Enriquez 88’, Foster 94’; OKC – Harris 58’. OKC – Laurendi, Jones, Harris, da Fonte, Williams, Ross, Garcia, Gordon, Bosetti (Bustos 79’), Cato, Eissele. Subs: Ibeagha, Hyland, Byars, Okot. Stats: Shots: 10, Shots on Goal: 3, Saves: 6, Fouls: 9, Corner Kicks: 3, Offsides: 2. RGV FC – Corti, Samuels, Donovan, Adams, Junqua, Martinez, Copete (Hernandez 68’), Foster, A. Cabrera (Lemoine 78’), Enriquez, Salazar (Castellanos 85’). Stats: Shots: 21, Shots on Goal: 8, Saves: 2, Fouls: 9, Corner Kicks: 2, Offsides: 1. ©2019 Rio Grande Valley FC / SportsEngine. All Rights Reserved.